Running an arable farming business involves a large amount of red tape, and growers contemplating keeping livestock can expect even more. The last 2-3 decades, dating back to the first recognised cases of BSE in the 1980s and later foot and mouth outbreaks, has seen an explosion in legislation concerning livestock traceability, animal welfare and biosecurity, plus a situation where many livestock enterprises need to be farm assured for their stock to be marketable, with regular inspections carried out to ensure standards are being met. For those opting to keep their own livestock, the Keeping Farmed Animals section of the Gov.UK website provides detailed guidance on welfare, identification and movement regulations affecting farmed species (see panel). While cattle, sheep, pigs and goats must be identified, cattle, bison and buffalo must also have passports, with their movements submitted to the British Cattle Movement Service (BCMS) which maintains an online database of all bovine animals in Great Britain - the Cattle Tracing System (CTS). Most arable farmers will already have a County Parish Holding (CPH) number covering the place where they intend to keep livestock. 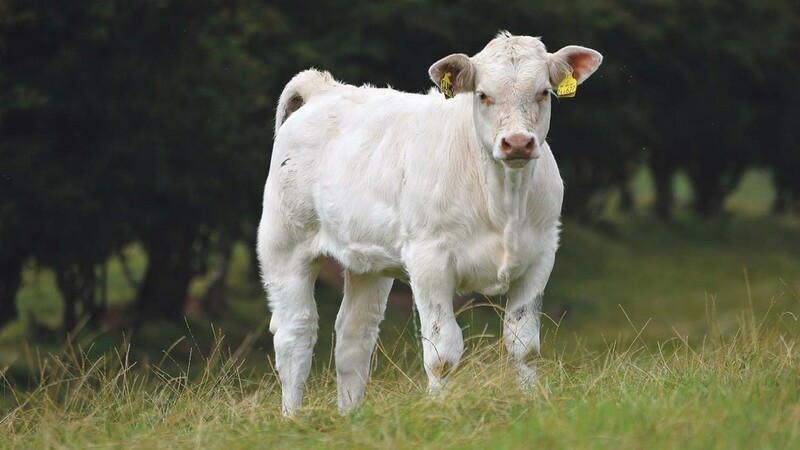 This is needed to fulfil the requirement of livestock keepers to register with their local Animal and Plant Health Agency (APHA) which will issue them with a herd mark. Cattle keepers must additionally register with the British Cattle Movement Service. Where a third party is keeping livestock on another farmer’s holding, for example, through a grazing or herbage licence, there is the option to use the landowner’s CPH number or if the landowner does not agree, request a temporary CPH number or Temporary Land Association (TLA) from the APHA. Care should be taken when moving livestock to a farm where there is already other livestock as, in addition to the processes mentioned above, standstill restrictions may apply. Regulations require that correct procedures must be followed for identifying cattle using e.g. ear tags, replacement of lost tags, and keeping records as well as reporting births, movements, deaths and lost and stolen animals to BCMS. Sheep and goat movements must be reported to the Animal Reporting and Movement Service (ARAMS). Movements can be reported electronically or on paper. Movement of pigs must be ‘pre-notified’ either electronically via the eAML2 system or by phone unless they are going to a market. If cattle, sheep, goats or pigs arrive on your land from a different CPH a ‘standstill’ rule applies and you must not move sheep, goats or cattle off your holding for six days; pigs off for 20 days if a pig moves onto your land; pigs off for six days if cattle, sheep or goats move onto your land. However, livestock can be moved direct to slaughter during the ‘standstill’ time, including to a red (slaughter only) livestock market. RPA cross compliance inspection results indicate that livestock identification and registration are one of the most common failure areas under cross compliance, with BPS payments at risk if farmers do not adhere to the livestock identification and registration rules that fall under cross compliance. Particularly high instances of noncompliance were noted by RPA under Statutory Management Requirement (SMR) 7: Cattle identification and registration and SMR 8: Sheep and goat identification. In a situation where a landowner is, for example, letting land to a grazier, Tom Heathcote, associate partner at Fisher German explains that while animal welfare is the responsibility of the grazier, the landowner needs to ensure the grazier fulfils any cross compliance requirements concerning e.g. livestock movements and ear tag insertion. This can be covered in a grazing licence, effectively indemnifying the landowner and enabling them to charge back any fines to the grazier, he says. RPA carries out sheep and goat identification inspections and cattle identification inspections. Some holdings are picked at random while others are inspected based on a risk assessment. Trading Standards also carries out inspections concerned with animal health, welfare, movements and transport. Under the Veterinary Medicines Regulations, medicines records must be kept for food producing animals for at least five years. Government guidance highlights publications that are available for recording medicines administered to animals by farmers from the Animal Health Distributors Association (AHDA) in conjunction with the National Office of Animal Health (NOAH). Data required to meet legal obligations includes name of the medicine, date of use, identity of animals, person administering the medicine, date treatment finished, date withdrawal period ends, length of withdrawal period, quantity of medicine used, batch number and source of the medicine. Many arable farmers will already be familiar with Nitrate Vulnerable Zones (NVZs) regulations, however, they may not currently be using livestock manure either spread or from grazing livestock so will need to take account of how introducing livestock to the rotation could impact on nitrogen applications. In any calendar year the amount of nitrogen in livestock manure that is applied - whether directly by grazing animals or by spreading - must not exceed 170kg/ha. This is the ‘loading limit’ and is averaged over the area of the farm. If the farmer has successfully applied for a grassland derogation, up to 250kg of nitrogen/ha is permitted if the nitrogen comes from grazing livestock manure, however, to be eligible to apply for a derogation, at least 80 per cent of the agricultural area of the holding must be grass. On an individual hectare basis, no more than 250kg of total nitrogen from all organic manures must be spread in any 12-month period on any single hectare of land. This ‘field’ limit does not include livestock manures deposited by grazing animals. Red Tractor was established in 2000 and has grown to become the UK’s biggest farm and food standards scheme, covering animal welfare, food safety, traceability and environmental protection. As well as the fresh produce and crops standards that arable farmers are likely to be familiar with, there are also standards for beef and lamb, dairy, pork and chicken. 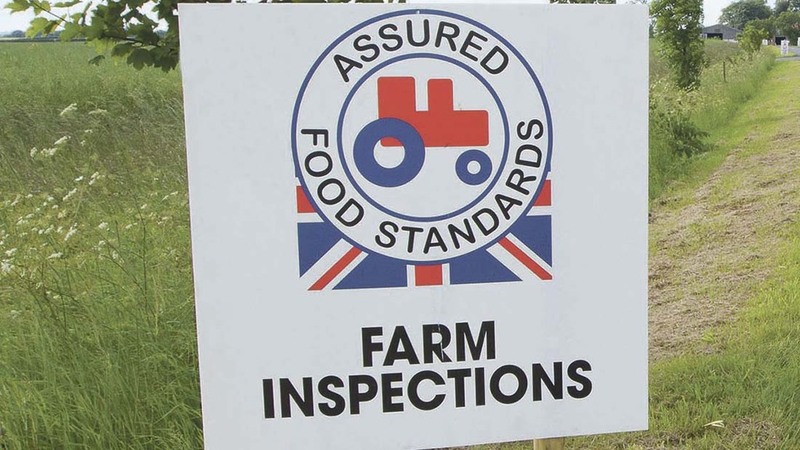 Red Tractor standards are followed by 70,000 farm businesses. Recent updates to the beef and lamb standards include, for example, a recommendation that the highest priority critically important antibiotics are only used as a last resort under veterinary direction. Also that a farm biosecurity plan must be created, implemented and updated in relation to livestock health and performance reviews. Red Tractor is a single scheme said to be accepted by all major buyers. It says being a member offers opportunities to maximise market opportunities, meaning members can do business with more people, including those who only buy assured products. Red Tractor says its farmer members are recognised as competent producers by government, meaning fewer government inspections. Mixed farms benefit from a single assessment, saving time and avoiding duplication. Retailers including Marks & Spencer and Waitrose, and the RSPCA operate their own farm assurance schemes.